Hello, dear fans of Hearthstone. It is HellRaisers and NickChipper here. And today I would like to discuss a new addon, new cards and new meta. What, how and why? To begin with, the new adventure and news cards have just appeared, and we haven't got many cards yet, but we already have a few absolutely new and interesting decks. You might have seen Rogues with Summoning Stone, Shamans with Rumbling Elemental, Mages with Forgotten Torch. Moreover, I would like to give special attention to two cards. The first one is very cool and one of my favorites in this addon. It has the new Excavation mechanic — Jeweled Scarab, and the second one is the new legendary Reno Jackson card. Excavation is a mechanic where you chose one of cards from neutral ones or a pool of your class, whether this be a spell or just a creature. I want to mark the fact that this class-specific card always appears in this choice what can't be said about neutral cards. That is what I had liked before the expansion was released. Beast with 1-1 characteristics for 2 mana! In addition you dig up a creature for 3 mana! Yes, Hunter comes to mind. Since he has always had problems with card setting up. Blizzard has just announced such a mechanic that if your hand is empty, you get a bonus. But in this game usually wins the one to have cards in the hand. 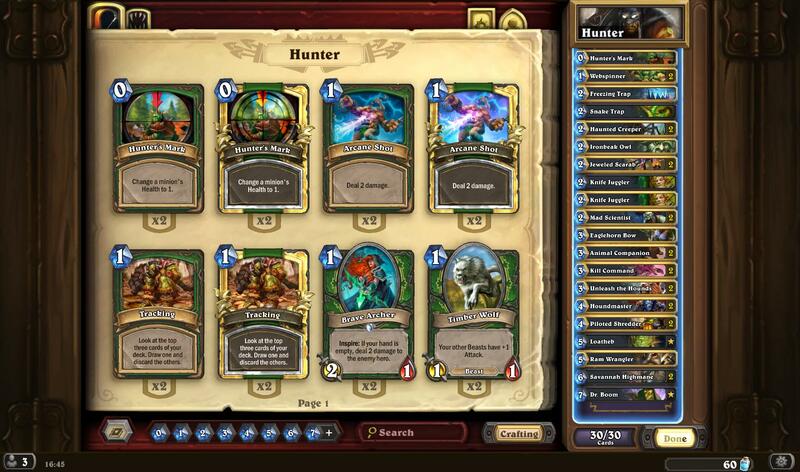 Thus, I suggest you a variant of new Midrange Hunter which I personally got the 20th legendary rank from the 1720th position with. Simple Midrange Hunter with two Houndmasters and his big synergy with beasts. Ram Wrangler and Snake Trap make this synergy even stronger. Rapidity of fire is changed to Jeweled Scarab — you will always have cards in your hand with these bugs, and the rapidity of fire with 3 damage is too expensive and not very profitable. I suggest you playing this deck and comment on using Jeweled Scarab yourself. Let's take a look at the sweetest spot of the first quarter of Explorers League — Reno Jackson. This card is the one to relieve the meta of the game. New Warriors, Shamans, Druids, even Hunters with Reno Jackson. And the main and the strongest variant of the deck for this hero is Warlock. He is getting the first place of the meta at the legendary rank. I would say that the Reno Jackson meta has become similar to the arena in some way. 🙂 Since in our deck there are 28-30 different cards, it becomes more interesting to play. There are quite a few variations of Warlocks with Reno Jackson: someone uses Ragnaros, others play with Doomsayer, and there are those who make use of Explosive Sheep. Though the matter of the deck doesn't change — many traps, temps, cards and there are always additional 20+ hp for 6 mana. It is a very good card. I will show you an example of such a Warlock below. In the end of this short review of the Explorers League first quarter, I want to recall a card of the very Warlock — Dark Peddler. This card does enhance cards of all classes, and especially Zoolok. It always gets the top 3 of best cards of the first quarter! As for the second quarter — it's pleased us with a wonderful legendary card called Brann Bronzebeard which makes battle-cries of your creatures work twice. From now on at the ladder you can meet many interesting decks with this deck, and it is something in a combo with Antique Healbot! Moreover, Mill Rogues always are satisfied with this, since now an opponent takes four cards instead of two! However, it doesn't always play into the hands of yours. 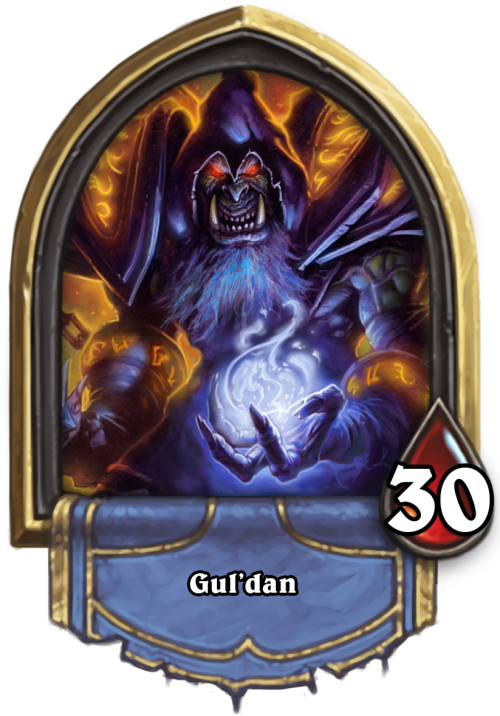 Also interesting combinations of Warlock with this card have been noticed, which are really strong themselves. We will talk about this later. Thanks everyone who has always been with us, always with HR! Now we will wait for next quarters of «Explorers League»!